Port Albert developed from 1841 soon after the wreck of the steamer Clonmel led to the discovery of the port. Until the opening of the Gippsland railway Port Albert was the main port for the export of Gippsland’s produce, principally livestock, and for the import of manufactured goods and immigrants. The commercial life of the peninsula was dominated from 1844 into the 1860s by the firm of Turnbull, Orr & Co. The firm’s brick and timber bond stores and offices were constructed in 1844 and are shown on the Wilkinson survey plan of 1848. The existing derelict brick store building and the rendered and parapeted brick office building are probably the buildings shown facing Wharf Street on the 1848 plan although there is much physical evidence of subsequent alterations. The store building has lost its roof and the current rafters are replacements of an earlier set. The west wall has been rebuilt with the original bricks but without the earlier door and window openings. The office building has undergone extensive change with physical evidence that the timber work is much later than 1844, possibly 1890s when it was damaged by fire. A slate roof, itself probably the second roof, has been replaced with corrugated iron. The building has recently been stabilised by the insertion of steel rods and plates. The two buildings have been on separate titles since 1862. 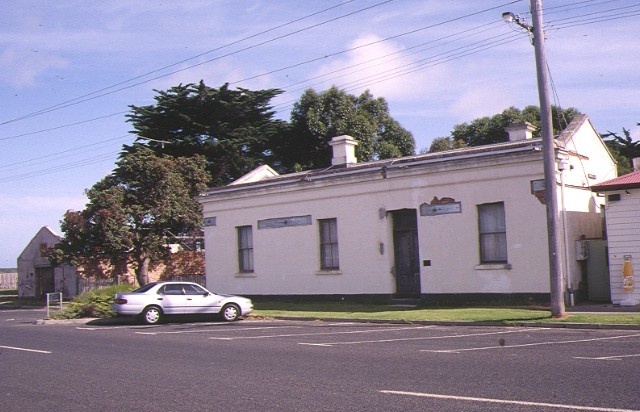 The Former Turnbull, Orr & Co Bond Store and Office Port Albert are historically, archaeologically and architecturally important to the State of Victoria. The Former Turnbull, Orr & Co Bond Store and Office Port Albert are historically and architecturally important as probably the earliest surviving buildings in Port Albert. As such they would be among the oldest buildings in Gippsland and therefore immensely important in the history of the region and of Victoria. Their association with the commercial development of the port adds to their significance. The Former Turnbull, Orr & Co Bond Store and Office Port Albert are archaeologically significant because of the relative lack of deep disturbance of the site since the earliest days of settlement. 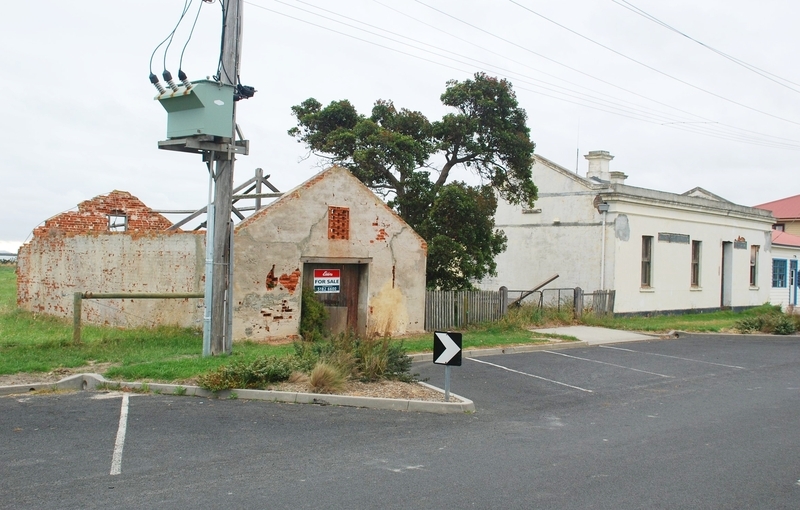 The whole site from Wharf Street to the alignment of North Street at the rear has the potential to yield important artefactual evidence from the days when the peninsula was a thriving port serving the whole of Gippsland. 1. All of the buildings marked B1 and B2 on Diagram 600800 held by the Executive Director. 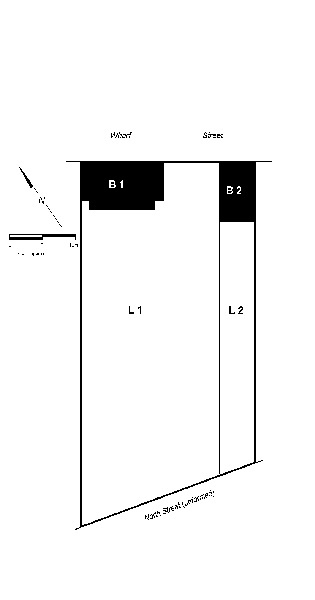 2.All of the land marked L1 and L2 on diagram 600800 held by the Executive Director being all of the land described in Deed of Conveyance Book 512 Memorial 813 and (title details for no.43 to be confirmed by title search) part of allotments 3 and 5 on plan of subdivision 3222, Township of Port Albert, Parish of Alberton East. The main significance of these buildings lies in their 1840s fabric and their streetscape contribution. The 1840s fabric seems to be confined to the foundations and brickwork. Joinery, flooring and ceilings are probably much later and should be able to be replaced in appropriate materials and detailing. The archaeological potential of the undeveloped land is high and any proposed disturbance should be monitored so that artefactual evidence is recorded. New development should respect the old in form, massing and materials but should not imitate or replicate the existing buildings. 1. All alterations are to be planned and carried out in a manner which prevents damage to the fabric of the registered place or object. # Minor repairs and maintenance which replace like with like. # Demolition or removal of outbuildings and sheds. # Removal of extraneous items such as, pipe work, ducting, wiring, antennae, aerials etc, and making good. # Demolition and removal of rear skillion addition to office building. # Installation or repair of damp-proofing by either injection method or grouted pocket method. # Painting of previously painted walls and ceilings provided that preparation or painting does not remove evidence of the original paint or other decorative scheme. # Removal of paint from originally unpainted or oiled joinery, doors, architraves, skirtings and decorative strapping. # Repair of plasterwork provided that all new work matches good adjacent work in style, detail and finish. # Installation, removal or replacement of carpets and/or flexible floor coverings. # Installation, removal or replacement of curtain track, rods, blinds and other window dressings. # Installation or refurbishment of bathrooms, toilets and or en suites including removal, installation or replacement of sanitary fixtures and associated piping, mirrors, wall and floor coverings provided that there is no damage to existing walls. # Installation, removal or replacement of kitchen benches and fixtures including sinks, stoves, ovens, refrigerators, dishwashers etc and associated plumbing and wiring. # Installation, removal or replacement of ducted, hydronic or concealed radiant type heating provided that the installation does not damage existing walls and provided that the location of the heating unit is concealed from view. # Installation, removal or replacement of electrical wiring provided that all new wiring is fully concealed. # Installation, removal or replacement of bulk insulation in the roof space. # Installation, removal or replacement of smoke detectors.